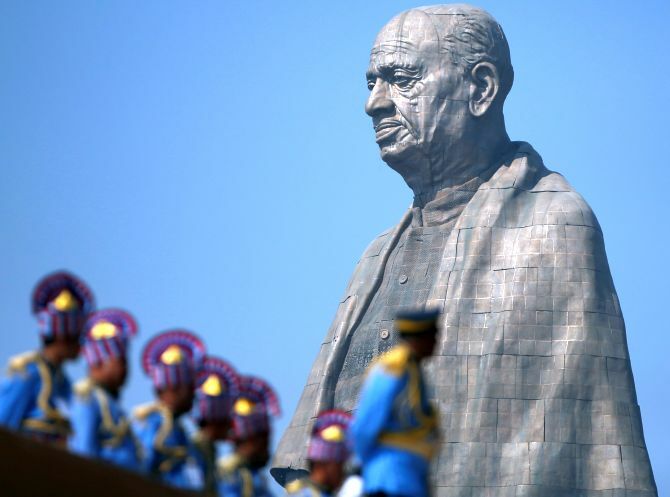 ONGC, Hindustan Petroleum, Bharat Petroleum, Indian Oil and Oil India listed the spending as part of their mandatory CSR commitment, but CAG noted that the Sardar Patel statue did not qualify for CSR funding. Public sector companies may have spent more on the Sardar Patel statue, billed as the world's tallest than was recently noted by the Comptroller and Auditor General. The country's topmost auditor had flagged the contributions in a report because the money came from the companies' corporate social responsibility budgets, even though the statue did not qualify under the relevant provision. The CAG mentioned five companies giving Rs 1.47 billion for the statue in its report for 2016-2017. But an analysis of Prime Database numbers and of listed companies' disclosures shows that a dozen firms contributed at least Rs 2.93 billion towards the cost of the statue over the last five years. The figure could have been even higher if some numbers had not been excluded from the analysis because of lack of clarity in the way they were presented. The CAG report had noted that there was a shortage of funds for the statue -- which is twice as high as the Statue of Liberty -- from the trust managing the project and that public sector companies were subsequently asked to contribute. The 182-metre statue, near the Narmada Dam in Gujarat, has been built at a cost of about 30 billion, which means the 12 public sector companies contributed roughly 10 per cent to the project. Prime Minister Narendra Damodardas Modi inaugurated the statue, known as the Statue of Unity, on Sardar Vallabhbhai Patel's birth anniversary on October 31. 'The trust approached five of the Central Public Sector Enterprises to participate in the project and contribute substantial funds as there was a shortfall of funds for the year 2016-17 to the extent of Rs 780 crore (Rs 7.8 billion),' CAG said. The Oil & Natural Gas Corporation, Hindustan Petroleum Corporation, Bharat Petroleum Corporation, Indian Oil Corporation, and Oil India were the five companies named. The report noted that the companies listed this spending as part of their mandatory CSR commitment, under a section for the 'protection of national heritage, art and culture. It also noted that the Sardar Patel statue did not qualify for CSR funding as it was not a heritage asset. CAG said ONGC justified the expenditure because the statue project included the promotion of education and development on the banks of the Narmada river. The other four companies said they had interpreted the activity around the statue liberally to capture the spirit of the heritage provision. 'The fact remained that the contribution towards construction of the statue did not qualify as CSR activity as per schedule VII of the Companies Act, 2013,' noted CAG. Shriram Subramanian, founder and managing director at proxy advisory and corporate governance firm, InGovern, said the statute failed to qualify as an activity which contributes towards society in the way that the provision was intended. "It goes against the spirit of CSR," he said. Pranav Haldea, managing director, PRIME Database Group, suggested that the public sector contribution to the statue under CSR could fall into a "grey area" and that it was understandable if companies looked at the spending as legitimate. "One can argue that this qualifies as protection of national heritage," said Haldea. E-mails to each of the 12 companies did not receive a response nor did an e-mail sent to the Sardar Vallabhbhai Patel Rastriya Ekta Trust, the special purpose vehicle set up by the Gujarat government to execute the project.